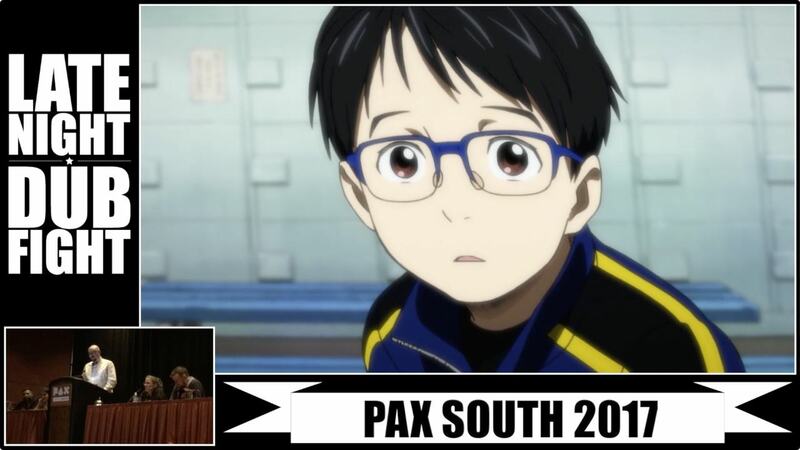 This week, the dubfighters make history in this clip from Yuri on Ice. Featuring Susan Arendt, Mikey Neumann, Leelee Scaldaferri, Graham Stark, and Kris Straub. This week, the dubfighters take a trip to the old west time in the clip from Westworld. This week, the dubfighters go back to school in this clip from Gakuen Handsome. This week, the dubfighters engage in commerce in The Commercial Round. This week, the dubfighters notice their hands in the clip from Rob Evans the Donut Man. This round, the dubfighters imagine the dream of flight in this clip from Bakemono no Ko at our PAX South 2017 show. This week the dubfighters hear some sort of smoggy horn in this clip from Mad Men at our PAX South 2017 show. This week, the dubfighters deal with the medical condition of curved veins, in this clip from Marvel’s Agent Carter. This week, the dubfighters have a confession to make in this clip from Steven Universe. This week the dubfighters engage in democracy in this clip from Starship Troopers.